We are love story cinematographers for the adventurous romantics! Hey there! We are kyle and sarah. Outside of filming weddings, we love snuggling with our 3 rescue cats, binge watching our favorite Netflix shows with a glass of wine and traveling somewhere new for an adventure! 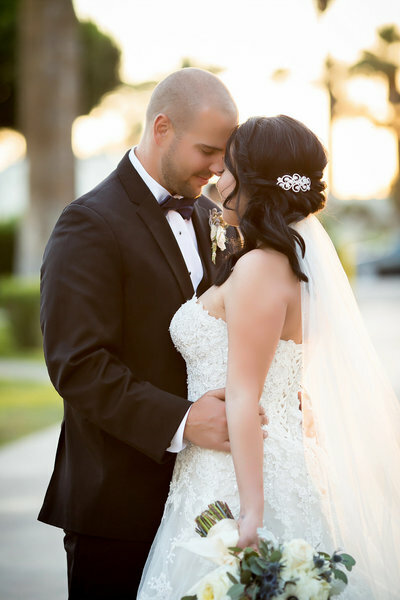 "Kyle & Sarah are hands down the best wedding videographers!" "These two have amazing personalities, are hilarious and truly shine with love for each other." We knew on our wedding day we wanted a video that captured all the special moments of Sam and I becoming one surrounded by those we love most! 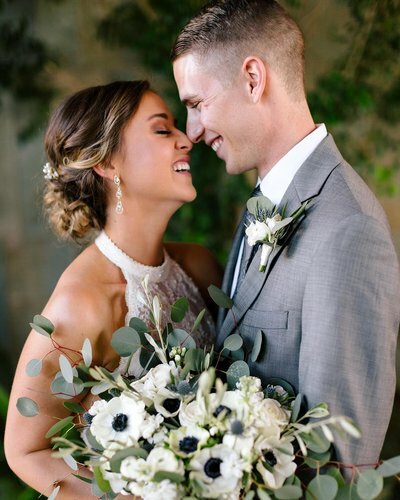 Sarah and Kyle captured all the emotions, animation and cherished moments of our magical day in a way we could never imagine. There aren't enough words to thank them for sharing their incredible talents and personalities with our wonderful families. We are so thankful for your talent! You guys went the extra mile! 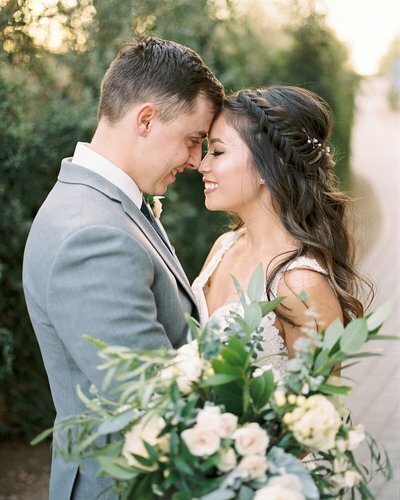 I felt at peace on my big day knowing that my wedding moments would not only be captured but displayed in a way that would bring me right back to each and every moment. Every emotional detail was captured and put into our video. These two did not disappoint. They continued to go above and beyond with their services throughout the whole process. They made sure we felt comfortable every step of the way, and when we weren’t sure which direction to go with something both Sarah and Kyle not only acted as professional vendors but as friends encouraging us to make the most appropriate decision. This is where your money should be spent. This is where you will look back to relive this day. I am so thankful I made the decision to have this so I can cherish these moments forever. I would do it all over again in a second! Do not hesitate to book Blue Eyes Productions!! 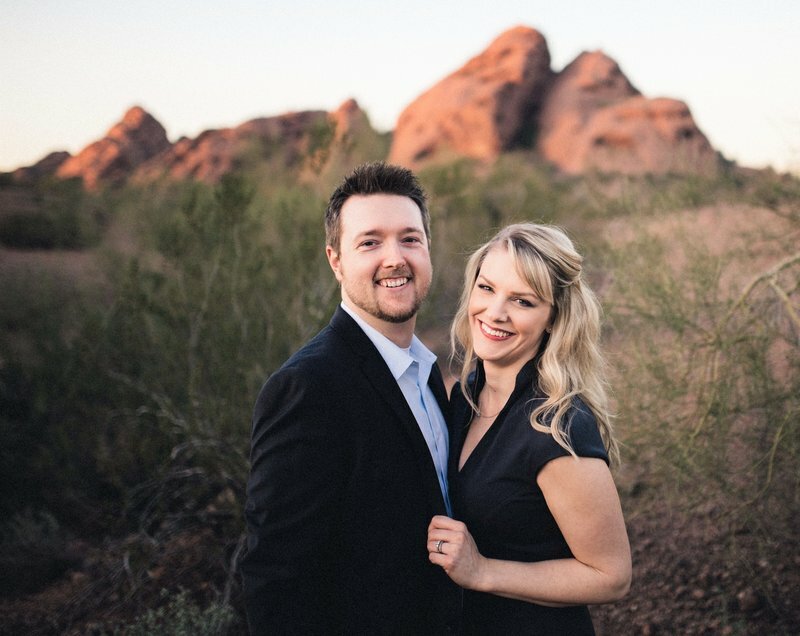 "Working with Blue Eyes Productions was the best decision I ever made - Sarah and Kyle are truly amazing!" We knew we were awkward in front of the camera but they made us feel so comfortable! 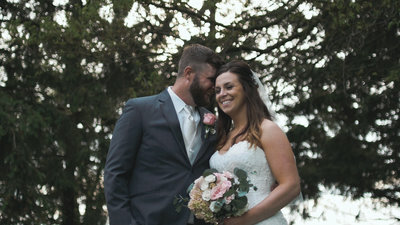 Our wedding highlight video has us laughing, crying, smiling and feeling like we were back with our people celebrating! We received so many compliments on how professional and sweet they were during the day, and the videos they produced! They truly went above and beyond our contract to provide us with the most amazing memories of our wedding. It goes by so fast and I can't thank them enough for providing us a way to listen to the sweet words and see the sweet interactions that slip your mind when it's over. Our ceremony edit is something we will watch every year and I know it will always give us those chills and "feels" we had on that day! We are so thankful we chose them!! Not only are Kyle and Sarah extremely talented, they are the most encouraging couple to work with!